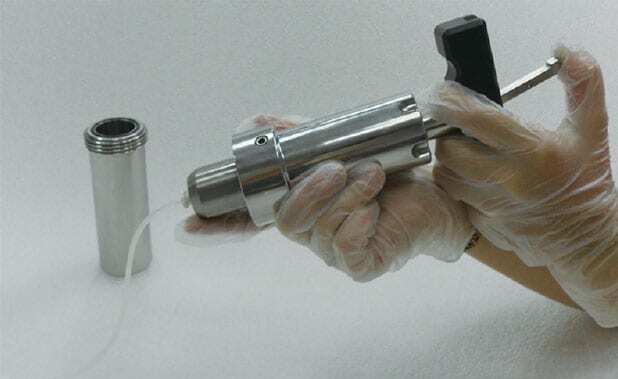 12 Station Automatic Vial Dispenser | Capintec, Inc.
rubber stopper is replaced, the aluminum cap is sealed, the bar code is applied, and the vial is returned to the transport container without interruption. 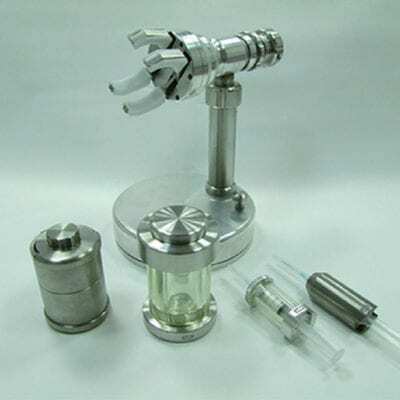 The unit is able to dispense 12 various isotopes; i.e., F-18, Gu-64, Ni-63, I-131, and Tl-201. 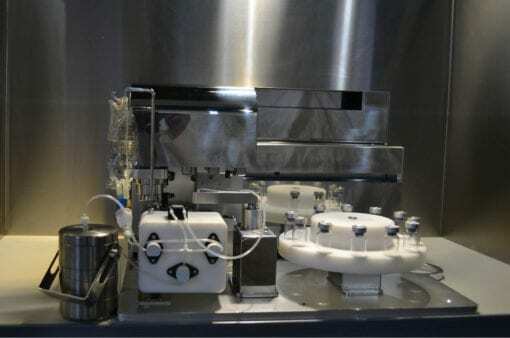 This dispenser is an ideal system for daily production in a cGMP facility. A Rotating carriage delivers twelve 10 ml vials into position for processing. A moveable suction device removes the rubber stopper. A clamp both removes and replaces the aluminum cap. 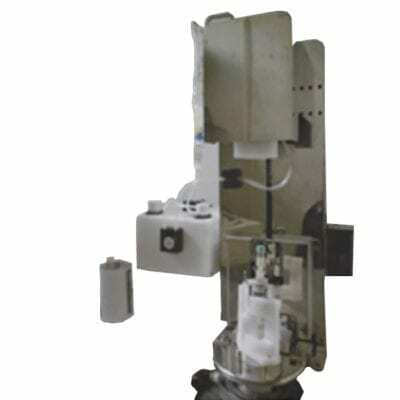 A rotating arm moves the dispensing needle into position. 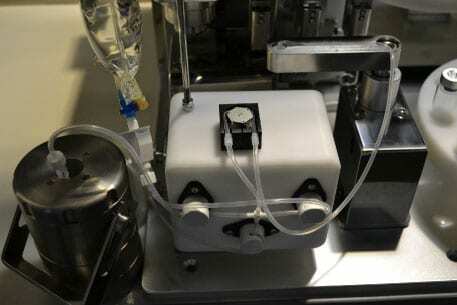 Software controls the process of dispensing the unit dose, dose dilution, and calculating dose decay time corrections. 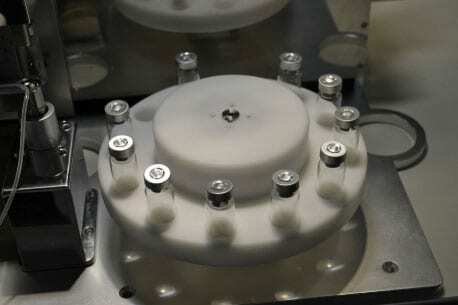 A dose calibrator measures the activity in each vial. A capping device seals the aluminum cap. A bar code scanner identifies the dose prescription. A moveable clamp delivers the filled vial to the transport carriage.